Point-and-shoot cameras are at an interesting place. Many believe that point-and-shoot cameras will soon be replaced by smartphones that have very capable cameras, and the likes of iPhone 5, Nokia Lumia 920 and others are proof of this trend. However, one advantage that point-and-shoots continue to have over smartphones is optical zoom, and having a huge optical zoom can indeed be of great use. 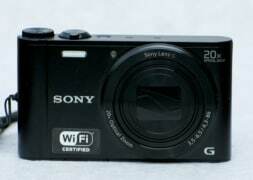 Sony likes to call the Cybershot DSC-WX300 the smallest point-and-shoot camera with a 20x optical zoom, and on it's own the camera indeed looks tiny. Let's take it for a test and see what it holds. The Sony Cybershot DSC-WX300 is a small little camera when you hold it in your hand, but the moment you put it next to another point-and-shoot you realise it is not as small as it initially seems. Having said that, you have to admire the work of the Sony design and engineering team for managing to put a large 20x optical zoom into such a small body. The camera fits nicely in the hand and the rounded edges make it easy to hold. The controls are easy to reach and comfortable for one-handed use. 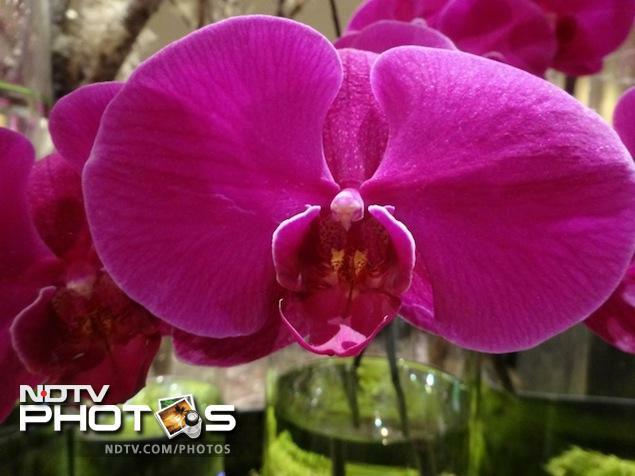 The back of the camera is taken over by a huge 3-inch LCD that is nice and bright both indoors and outdoors. The LCD is not a touchscreen but shows all the information you need. It is also a bit of a fingerprint magnet, as one cannot avoid touching the screen at times and needs to be cleaned frequently. There is no rubber padding for the grip and at times I did feel that the camera was slipping out of my hands, but thanks to the hand strap around my wrist I knew I would not drop it. The memory card and the battery other go under the camera, adjacent to the HDMI port. There is a multi-function Micro-USB port on the right hand side for charging as well as transferring data. The WX300 has a built-in flash at the front of the camera, stereo microphones on the top of the camera and uses a USB based charger that relieves you of carrying a spare charger too. It's good to see that Sony includes an HDMI cable with the camera. If you are interested in using the camera with a tripod, it's worth pointing out that with the lens fully out, the camera falls over when kept on a flat surface. Thus, if you are looking to shoot at full zoom, you are advised to carry a full-sized tripod and something like a GorillaPod won't do. The camera is available in four colours and we tested the Black one. Sony Cybershot DSC-WX300 does not feature any manual controls like most other point-and-shoot cameras. It comes with eight preset modes that you can choose from, selectable via a rotating dial. The dial lets you choose between a Scene mode, a Background defocus mode (ideal for clicking portraits), an Intelligent Auto mode (indicated on the dial in green), a Superior Auto Plus mode, Program Auto mode, rama mode, Movie shooting mode and a 3D mode. The Scene selection mode features further sub-modes based on the type of picture you are trying to click including Soft Skin, Gourmet (for food shots), Night Scene, Landscape, Snow, Fireworks and more. The Intelligent Auto mode is the one you would use on this camera to take most of your pictures. If you use the Intelligent Auto+ mode, the camera takes multiple shots and overlays them giving you a picture that's a bit more saturated but appears nicer to the naked eye, especially if you are shooting in a dimly lit room. However, for me this was a complete no-no, as most pictures ended up loosing details. The Panorama mode on the WX300 is very well implemented and it takes a panorama beautifully, unlike it's predecessors where the camera kept constantly reminding you to go slow or go fast. With the WX300 one just sweeps through and gets the work done, and was so much fun that I ended up shooting quite a few panoramas. Next to the mode dial on the top of the camera is an aptly sized shutter button with a toggle zoom control. The button is placed well and right next to it is the power button that is recessed so you don't hit it accidentally when clicking a picture, or when someone else is taking a group shot for you. The camera has no manual controls, be it for focus or for shutter/ ISO so if you are an advanced user you may find this restricting. I did not miss these controls during the time I spent with the camera. The WX300 comes with built-in Wi-Fi, which means you can set it up a secure Wi-Fi hotspot so your smartphone and tablet can connect to it. You can then use the display on your phone or tablet as a viewfinder and trigger a shot. This is especially useful in case you are taking a self-portrait or a shot at a difficult level. Unfortunately, the app is available only for Android phones and tablets, and not iOS. You can also transfer pictures from the camera to your computer, mobile or tablet over Wi-Fi. The auto focus on the Sony Cybershot DSC-WX300 works quite well, though it has its limitations. For example, if you are shooting an object or a person at full zoom, it seems to be a bit slow and takes its time, but in almost all other conditions its quite responsive. The tracking focus function works both in still mode as well movie mode. One drawback in the camera is a lack of macro mode, so if you like shooting flowers or other objects up close, you will be disappointed. 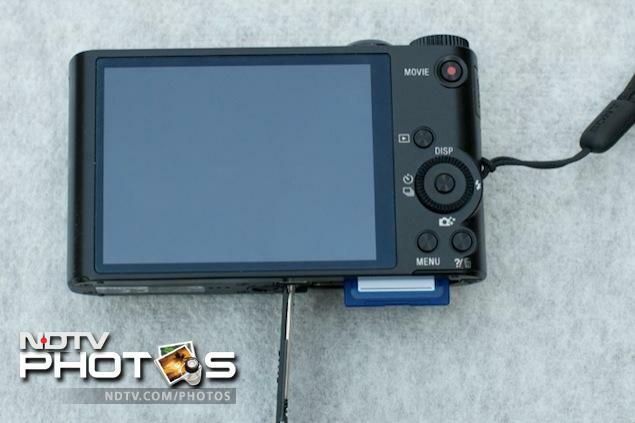 The WX300 uses Sony's Exmor R back-illuminated 18.2-megapixel CMOS sensor. This gives it great agility when it comes to taking pictures both indoors and outdoors. Add the fact that the camera is small enough to carry in your pockets all the time, and it manages to become your great field companion. The camera performed pretty well when it came to taking self-portraits and pictures of other people at night and focussed pretty well. The flash on the camera does not need to be popped, just enable or disable it from the menu before taking the shot. The flash on the WX300 is quite strong and some of the scenes end up with too much light and loosing their appeal. But in most cases the flash does a good job overall. However, thanks to the good sensor inside the WX300, you may not need the flash on many occasions. The low-light images appear sharp and crisp. As I mentioned earlier, there are no manual controls on the camera, so I was slightly worried that the night scene pictures may come out grainy, but I was pleasantly surprised to find them sharp enough. 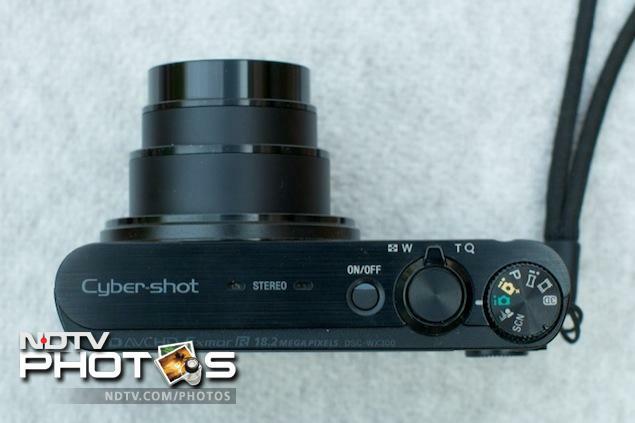 The powerful 20x optical zoom on the Sony Cybershot WX300 in action. 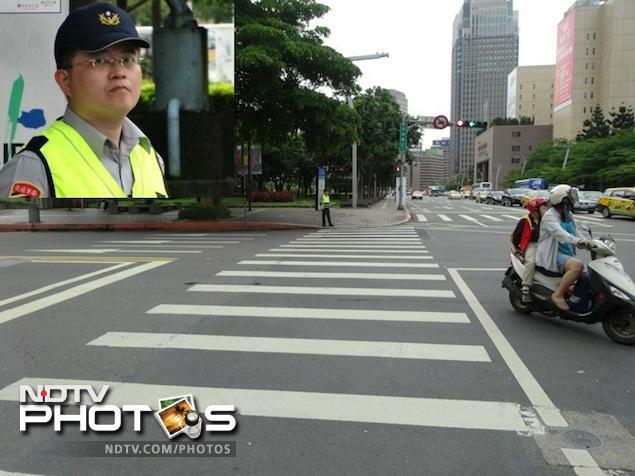 The image above is clicked at full zoom with the inset of the traffic cop taken at 20x optical zoom from the same spot. The full-zoom pictures also came out nice (see sample shots above and in the gallery). The body's built-in image stabilisation is pretty accurate for a camera this small. The WX300 also has a 10 frames-per-second mode, and it manages to capture an action scene pretty well. Though Sony claims that the resultant images are full-resolution, I felt that some details were lost in the high-speed mode. 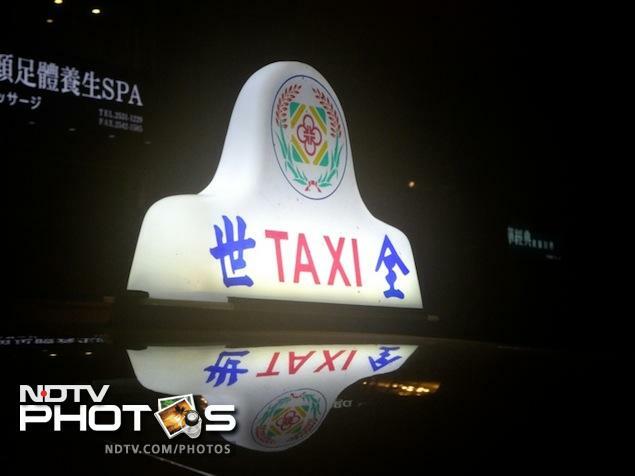 To put the camera through a tough test, I took a night-shot of a backlit taxi sign. Though the picture came out very sharp and crisp, I noticed a shift in colours. While, this can always be corrected during post-processing by changing the temperature of the image, I was slightly surprised that this happened in a camera that produced otherwise accurate colours. The video mode is pretty well-executed and the camera is capable of taking full-HD videos. The WX300 has a very sensitive set of microphones, which is generally a good thing as it picks up even minute sounds, but if you are in a very noisy environment, it can work against you. The videos taken with the camera are sharp and full of details, and, as you would expect, it is also possible to capture stills while recording video. The tracking focus and zoom capabilities work well to give you a blur-free video. The Sony Cybershot DSC-WX300 has a small battery and the entire package (battery + camera) weighs just 166 grams. Looking at the size, I was worried if the camera would be able to last an entire day, but that fear was unfounded as I could shoot an impressive 300 shots, including a few panoramas and a video, on a single charge. As mentioned, you can charge the camera over USB, which means should it run out of juice, your mobile charge can perhaps double up as a charger for the WX300. Overall, the Sony Cybershot DSC-WX300 is quite impressive with good image quality and a 20x optical zoom that lets you click some interesting pictures. The lack of manual controls bothered me personally, but the target audience of the camera won't mind it as much. The lack of iPhone app to go with the Wi-Fi features of the camera might limit the camera's appeal as well. Gagandeep Singh Sapra is a technology entrepreneur, and is popularly known as The Big Geek (@TheBigGeek).